Roaches bubbling out of drawers and dirty cabinets, so many that each time a boyfriend asked for something to eat, I’d run to the kitchen, turn on the light, and squash whatever was running with the palm of my hand. They thought I asked them to sit in the living room and wait because I liked serving them. Life as a girl in a Mexican family can be very different. Sometimes it’s like you’re not part of the family. I admit there never was going to be a baby. The one we talked about those years on the patio. I’m bringing it up because she would have been beautiful. She would have had long feet and a bad temper. We walked under the tree you’d always duck under because the neighbors were too lazy to prune it. The streets were brown and turquoise; I don’t know why, but they were. There was a small bird that seemed to follow us as we crossed the street. The sun was not out and had not been out for several weeks. I talked about getting a heatlamp, nightlight, sunlamp—anything to give me color. You were telling me that things would be different. But I couldn’t hear you. It was as if you were calling out from the shore of a faraway beach. Or like the time we stopped in the alleyway of our apartment to figure out the name of that song. I hear you walking in soft pajamas late at night. Touching every room with your feet. In the morning you ask me to cancel the movers. Only now I’ve gone deep inside, to the tender parts, the skin around my eyes. Once, when visiting family in Mexico, a cousin drove to a field near a coconut grove, and after walking over green and yellow sea sand, little stones that seemed attached to no one, she led me to a hedge of wildflowers that when touched, closed. The best account I can give is of a dream my mother had where the devil, disguised as smoke, leaped from the attic and twisting round and round her chest, left her unable to cry out. Diana Marie Delgado, poet and playwright, is a graduate of the Masters in Poetry program at Columbia University. She has served as Poet-in-Residence of Northern New Mexico College and won the James D. Phelan Award in Poetry from the San Francisco Foundation. Her poems have appeared in the Indiana Review, North American Review, Ploughshares, Ninth Letter and Fourteen Hills. Her chapbook Late-Night Talks with Men I Think I Trust, chosen by Cornelius Eady, won the 2015 Center for Book Arts Chapbook Award. 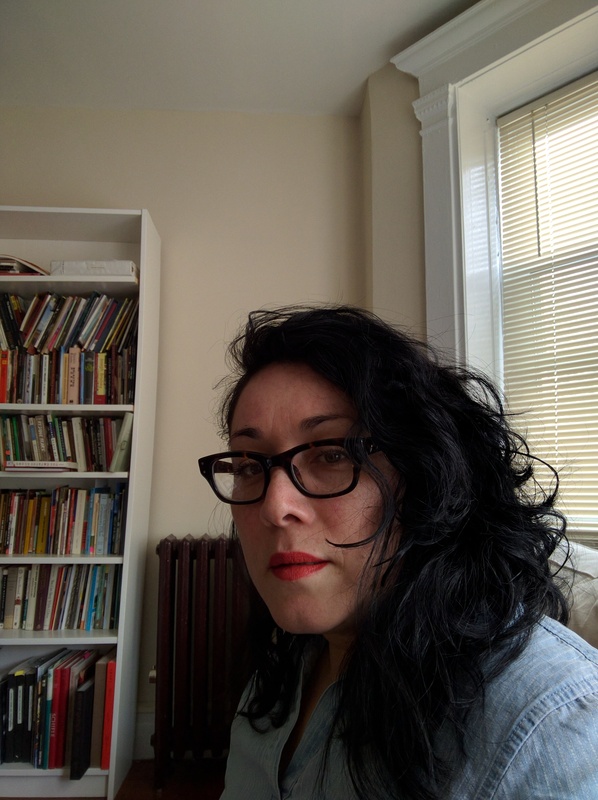 As a Letras Latinas residency fellow, she is a member of the CantoMundo and Macondo writing communities and was a 2015 work-study fellow at the Bread Loaf Writers’ Conference.